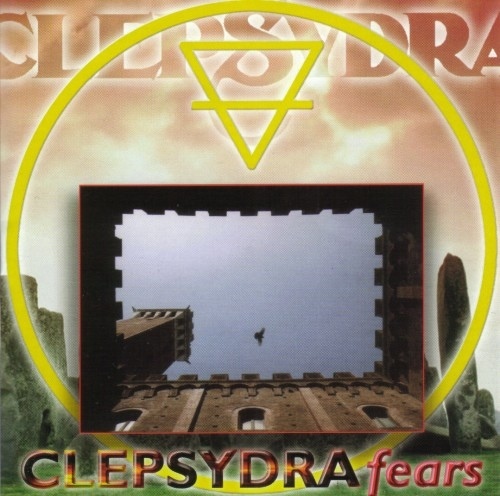 Swiss quintet Clepsydra sport your typical neo-prog lineup of vocals/guitar/bass/keys and drums and on Fears they hold true to the neo-prog sound. Early Marillion comes to mind, especially on the songs "The Missing Spark" and "The Cloister" where keys man Philip Hubert and guitarist Marco Cerulli have the Kelley/Rothery patches totally dialed in. Script-era Marillion is especially heavily borrowed from in the songwriting, though with the heavily accented English vocals of Aluisio Maggini, what comes out often sounds a lot like Mexico's Cast, particularly on the opener, "Soaked." Cerulli's playing stands out the most, as he moves from confident and electrifying solos to gentle acoustic solo interludes with equal skill. Unfortunately, while Maggini is a capable vocalist, he rarely deviates from a full-throttle delivery which is unsuited to some of the more meditative passages. On "The Age of Glass," for instance, the vocals smother the textural playing going on underneath and on the epic closer "Fears" (which clocks in at 12 minutes), the vocals only reinforce that the song is twice as long as it needs to be. Also, I distinctly get the impression that Maggini has no idea whatsoever what it is he's singing (in fact, the lyrics come exclusively from bassist Andy Thommen)! Still, the production values are high and the playing very confident and capable. Fans of early Marillion and Cast should find much here to enjoy. 1973: A Good Year for "Grass"